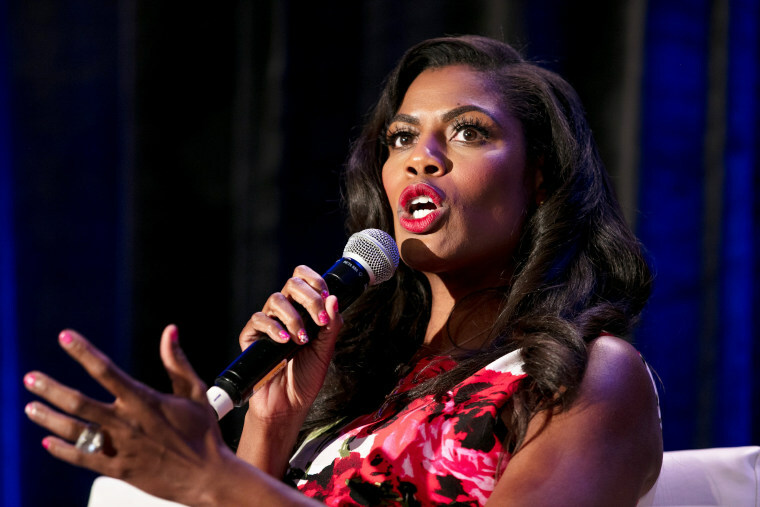 NEW ORLEANS — Omarosa Manigault, an assistant to President Donald Trump, caused a bit of an uproar at the National Association of Black Journalists’ convention on Friday. Though she criticized her boss for seeming to encourage police brutality, she defended the administration in a series of heated exchanges over its relationship with communities of color around the country. The standing-room-only event at one of the convention's panel discussions turned contentious after she began by recounting of how her father and brother were both lost to street violence in Youngstown, Ohio. The panel's moderator, Ed Gordon, a host on the Bounce TV channel, asked Manigault about Trump's position on policing, particularly his position that police officers not be so nice when arresting suspects, and the revived war on drugs that Attorney General Jeff Sessions wants to wage. But Manigault didn't want to talk about Trump. She first balked at “disclosing confidential conversations with the president,” then stood up, pacing the stage as she sparred with Gordon. She was angry that he didn't solely want to focus on her family losses, and at one point told him, "shame on you." He asked whether Trump's remarks on arresting suspects were appropriate, and she brusquely said no, and tried to change the subject. When he continued to press her on the administration's policies, she noted that she is often the only person of color in administration meetings. "I sit at a table where I am not only the only African-American woman, but the only African-American at all," she said, pushing back at questions about how much she was doing for the community. “If you’re not at the table, you’re on the menu." The audience gasped and rumbled during the exchanges, which some people clearly found unsettling. During the fracas, some in the room stood and turned their backs to Manigault. The New York Post reported that two journalists who were scheduled to be on the panel refused to participate: Jelani Cobb of The New Yorker, and Nikole Hannah-Jones of The New York Times. Cobb told the Post he was angry that Manigault was added at the last minute.